When it comes to selling your home, first impressions can be everything. The feeling that potential buyers get when they see your home for the first time can be the difference between them returning to inspect a second or third time, and making an offer when the time comes, or bypassing it and searching elsewhere. And the better your property presents, the higher the price that buyers will be likely to pay. With that in mind, here are some simple steps you can take to ensure your home looks at its best. It goes without saying, but giving your property a big tidy-up, inside and out, will go a long way to wooing potential buyers. You should fully clean the property, including the spots you’d normally ignore. The house should be spring cleaned. The little bits of dust that you don’t notice when you’re living there every day, that’s what buyers do notice, on the skirting boards and things like that. And given the garden is often quite literally the first thing people see – or the only thing they see, if they’re driving by – it should receive equal attention. Fresh mulch, the lawn should always be mowed for open homes, making sure it’s all presented really neat and tidily. Similarly, everything should be in good working order, so ensure all the lights are operating correctly and fix any obvious issues in and around the property. Ever been into a new home with no furniture in it? It’s amazing how large each room looks. Similarly, removing unnecessary furniture and other general clutter will enhance the sense of space, as well as making the home more open and easy to walk through during the inspection process. 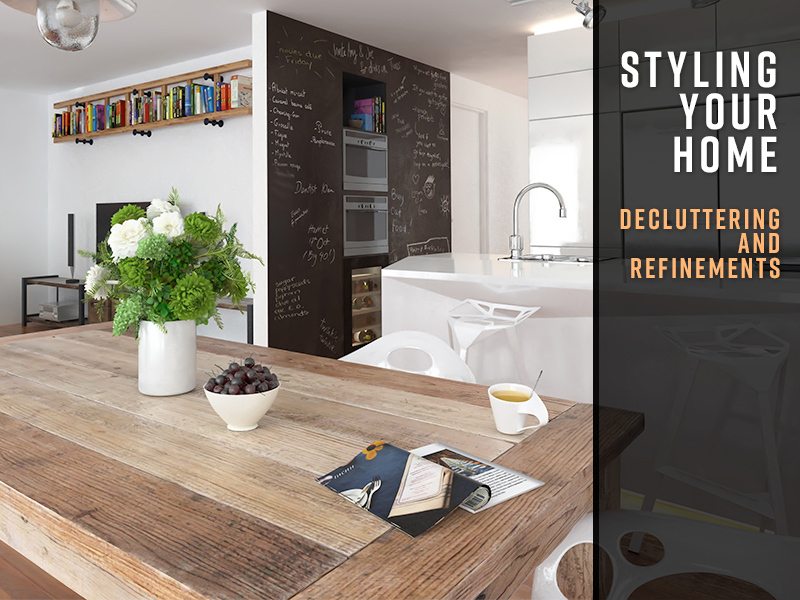 Decluttering the home, or even having it professionally styled, will significantly enhance its appeal, particularly as people’s tastes can differ greatly. It depersonalises it a little bit, so instead of someone feeling like they’ve invaded someone else’s home, it maximises the way someone is able to flow through the home. Make your home feel extra spacious and it becomes more inviting for buyers. Buyers will almost always learn about your property through an online search, so it’s critical that the property is presented well in the photos attached to the listing. Check that your agent uses a professional photographer, rather than saving money by doing it themselves. Photography serves one purpose: To attract buyers to come to the property. You want to get professional photography and you want to make sure it’s highlighting your property in the best possible way. It can really make people go, ‘Oh, that’s got wow factor’, and there’s an instant attraction or appeal and makes them a lot more likely to come along to the open for inspection. Here are a few tips and tricks at open for inspections and auction days that can significantly enhance the impression your property leaves on potential buyers. The big one is the temperature. On a really hot day, you want the cooling on for half an hour before the open starts, not from the moment it starts. Make sure all the lights are switched on – you don’t want any dark corners. Keep all the blinds open. There’s no point trying to hide the fact that something’s next door. If it’s there, it’s there. In addition to the way the property looks, it also pays to consider how it smells. Some people will roast coffee beans or cashews and walk around the house, so there’s a nice aroma. In winter a wood fire works really well. It makes it inviting inside and the smell of a wood fire is really appealing when people are coming from the street, smelling the smoke when they’re getting out of their car.